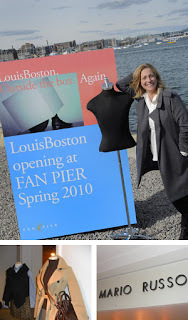 Louis Boston is moving to Fan Pier. The high-end retailer which has been on Berkeley and Newbury Streets in the Back Bay since 1988, has signed a 10 year lease. The build out is part of temporary retail buildings Fan Pier developer Joe Fallon had petitioned for the right to build in September. 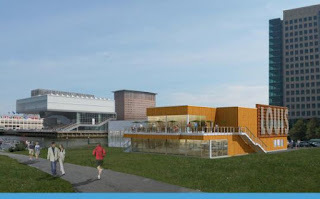 The 22,000 sf., two-story building will be located across from the ICA, where the 'Puma City' was built for this summer's Volvo Ocean Race events and will open this Spring. Fort Point Open Studios this weekend!